Broadband Coaxial Cables used for computer networks and cable television. 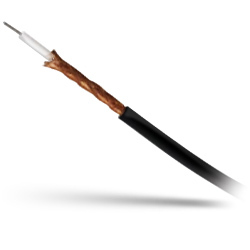 Belden 18 AWG Solid Bare Copper Coaxial Cable, 1000 Ft. Smaller Sizes available upon Special Request!